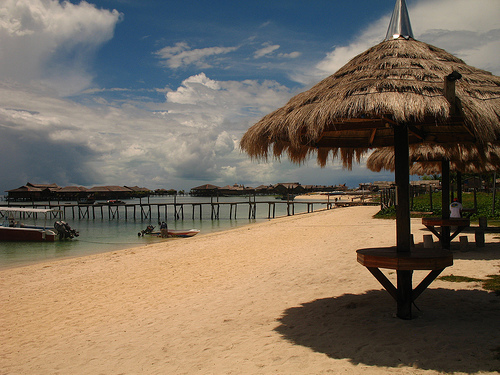 Mabul Island is a small island located at the south-eastern coast of Sabah. 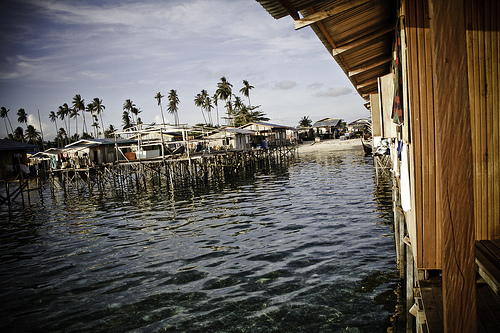 Ever since 1970s, the Mabul Island has been a fishing village and grew increasingly popular among divers since in the 1990s. It has become a famous diving destination due to its proximity with the renowned Sipadan Island. Mabul Island is approximately 15 kilometers from Sipadan Island and is a 20-hectare land which is made up of mostly flat grounds. The Mabul Island is surrounded by sandy beaches and on the northwest corner of the island is a two square kilometer of breath-taking reeves. 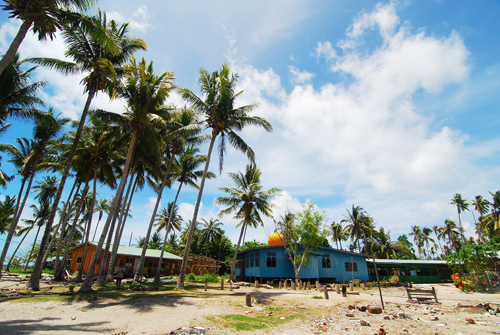 The Island of Mabul started as humble beginning with it being only a fisherman village. Now, it is a famous spot for diving enthusiasts. 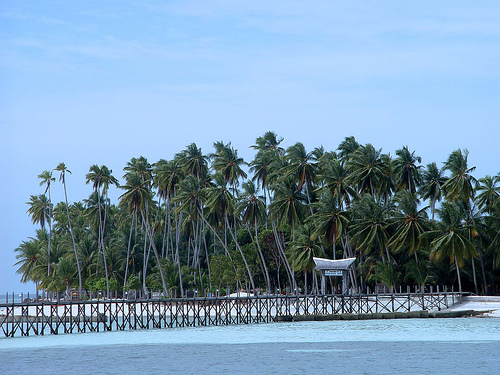 Mabul Island is located only about 15 minutes by speedboat from the exclusive Sipadan Island. 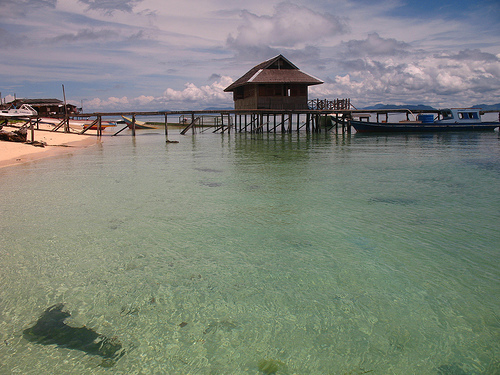 The Mabul Island gained popularity among divers as it is one of the best muck-diving sites in the world. Underwater animals are abundant in the clear waters of Mabul Island. This offers divers an adrenalin-filled diving experience no one can forget. Though Mabul Island has gained international recognition for being the best site for muck-diving, it is the myriads of exotic and tiny creatures which bring divers back, armed with macro and waterproof cameras time and time again. Do expect to see an incredible array of the rarest ecological marine species. Among the creatures that you are bound to see are the blue-ringed octopus, the flamboyant cuttlefish, the frogfish, the moray eels, the spike-fin gobies and so many other equally amazing creatures. If you have had enough of diving, you can laze on the sandy beaches surrounding the island of Mabul. There are also some activities at the island which are adventure and sports related which you can join. When in Mabul Island, there are only four resorts to choose from. They are the Borneo Divers & Sea Sports Sdn Bhd, the Explore Asia Tours Sdn Bhd, Seaventures Tours & Travel Sdn Bhd and the Sipadan Water Village Resort Sdn Bhd. Other famous diving spots in Sabah include Kapalai Island, Mataking Island and Sipadan Island. Other attractions in Kota Kinablu include jungle trekking in Kinabalu Park. You can also head over to the shopping malls in Kota Kinabalu or explore Sandakan. Hotels in Kota Kinabalu are plentiful but they can be fully booked especially during peak season. Do book in advance to avoid disappointment. To get to Mabul Island, you will need to get on a 55-minute flight from Kota Kinabalu to Tawau. Upon arrival in Tawau, you will need to drive for an hour to Semporna before you get on a 45 minutes ride on a speedboat to Mabul Island. Ground transport is usually arranged by the management of the resort you choose to stay.